9” Mini Gelblade Perfect For Cleaning Up After Doing It In The Dirt! Hollister, CA — Remember the old “do it in the dirt” mantra? The pros at One Pass certainly do! 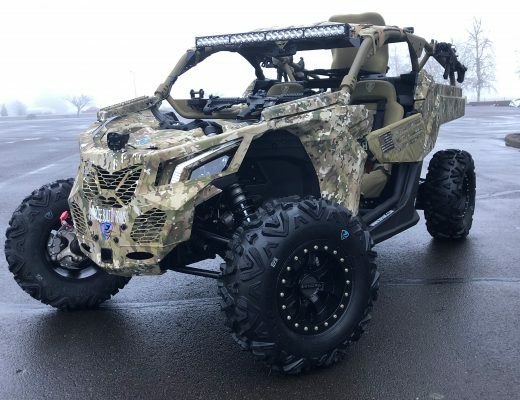 And they have the perfect solution for cleaning up after a day in the dirt, or finding out how deep that mud bog really is! After making big news with the original 12” Waterblade, their new 9” Mini Gelblade is perfect for all those tight spots around the shop and for Side-by-Sides. 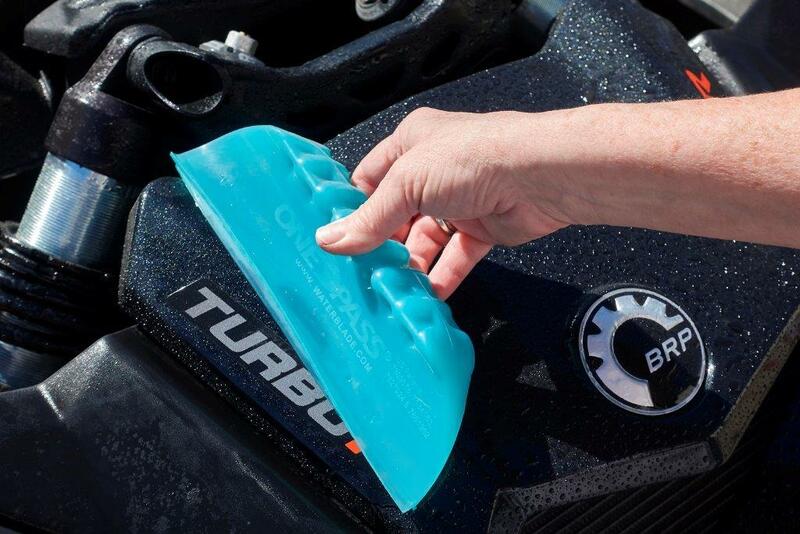 Designed to displace water from the surfaces of Varner’s award-winning hot rods, One Pass Gelblades are faster and more sanitary than towels, or chamois. The patented Y-Blade edge conforms to most surface shapes and removes more than 90% of fluid quickly in “one pass” — leaving a clean, dry surface on virtually any vehicle. Additionally, the flexible silicone blade conforms to curved surfaces on fenders, doors and body panels. However, the One Pass Mini is more than a one-hit wonder! It works equally well around the shop floor, or in your toy hauler. Since silicone does not support bacterial or microbial growth, it’s suitable for wet locations like wash bays and restrooms. Where other materials tend to harbor growth, silicone remains mildew free. Silicone is also safe for nearly all cleaning products and can withstand temperature extremes from -80 to +400 degrees Fahrenheit. Temperature resistant -80 to +400 degrees F.
About One Pass USA — One Pass founder Don Varner is a professional innovator, inveterate tinkerer and legend in the automotive world. Hot rod enthusiasts might recognize him as the designer behind such famous custom ‘Rods as El Matador, Silhouette and The California Star. Varner turned the custom world on its ear back in 1984 when California Star took top honors at the Grand National Oakland Roadster Show. Despite enormous controversy, Don’s version of the classic 1927 Model T earned the title “World’s Most Beautiful Roadster” and cemented his place in the automotive world. It was this kind of disruptive solution that brought the original Water Blade into existence, upending the car care world in the process. That sounds a bit dramatic, but take a look at how many copies have hit the market since and you’ll see what we mean. When we released the first Water Blade in 1996, it was called the “Original California Water Blade” — now it’s simply Original Water Blade. Don takes enormous pride in every product he designs, so you know if it bears the One Pass name, it’s a game changer!